Anyways. 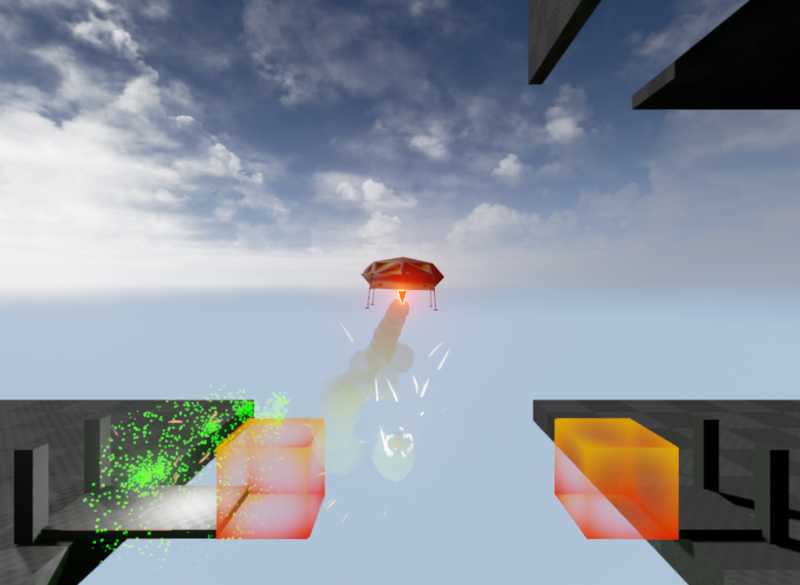 I made a game, using Unreal Engine 4 this weekend. Not everything went as planned for my first LD entry, but I am happy with it. You control a UFO with lunar lander type of controls, only one engine to apply thrust upwards and you have to cancel each movement out with a counter thrust, so you basically fly like a helicopter. 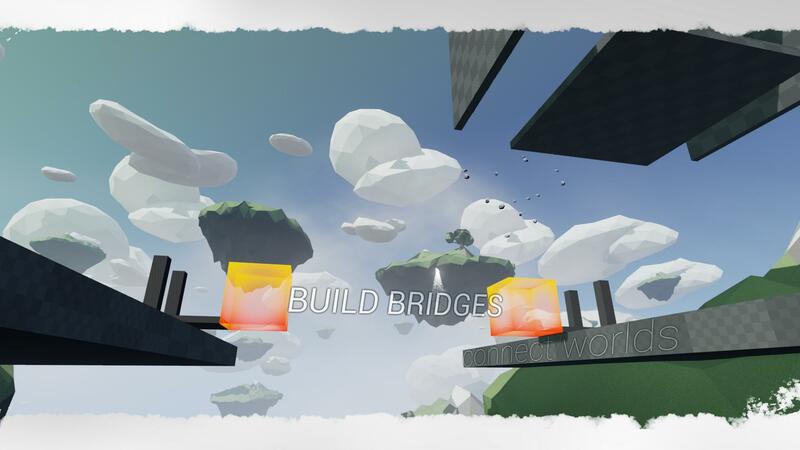 The goal is to grab a bit of building material and deliver it into the building zone of the bridge until it is finished. So far so good, I had the theme down. The world consists of many small to medium sized floating islands. I planned to populate them with a species that struggled to visit their friends and families that lived on another island. But I had to cut the population for time reasons (only indicators are the hot air balloons). I like how challenging it is, I love challenging games in general, gives you a bit of satisfaction beating them. I made something that looked good, for me as a software engineer, art is always the hardest part. I had no time to build up a proper communication with the player. I can not tell you why or how you are supposed to build a bridge. With the knowledge I have about Usability and User Experience, I am not happy with the result. For my next LD, I will probably do something smaller, probably 2D to implement a bit more stuff. But actually I am really happy with the outcome of this one, even though it has it’s flaws. I recorded pretty much every second (minus the hour my internet crapped out) and I made a little timelapse. 30 hours of work compressed to 18min. It’s done! My first LD and I finished a game! Building Bridges. I am happy and relieved that I got something done. And Finally. FINALLY. I can go to sleep. What a day. I decided to do a bit more for polish than content, but I think I am happy with the result. A bit of cleaning to do, but I am almost ready to submit my game. 2am. I am tired, but happy. I got something done and I recorded roughly 16 hours of work today. Anyways, I still got a ton of work tomorrow. I have the mechanics kinda nailed down, but I need to create a few levels, a main menu and I still have some placeholders in there, but I think I can get away with a little nap.